Asian stock markets were down in early trading Thursday, after the U.S. Federal Reserve raised interest rates and indicated two more rate hikes were coming later this year. 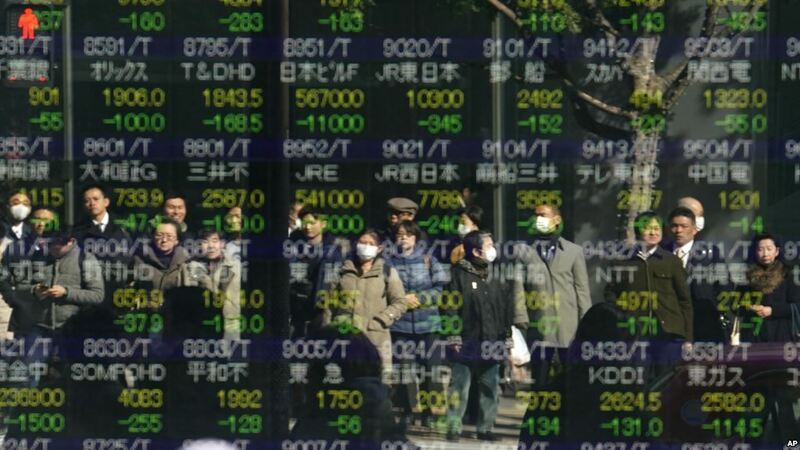 Japanese stocks opened lower, with just the fishery/ag/forestry and marine transportation sectors up. The Nikkei NIK, -0.99% was down 0.4%, though few big caps were moving sharply. Nintendo 7974, -5.09% , however, was down 3.7% and tractor maker Kubota 6326, -2.43% eased 2.3% amid the dollar’s USDJPY, -0.26% pullback. Elsewhere, Toshiba 6502, +2.67% was up a further 2% to again be the best-performing large cap after Wednesday’s 6.6% jump on its stock-buyback plans. South Korean stocks were notably lagging after Wednesday’s day off for elections, with the Kospi SEU, -1.73% down more than 1%. Construction names, which have surged since late April amid a Korean Peninsula thaw, continued the pullback seen during Tuesday’s Trump-Kim summit. Hyundai Engineering 000720, -8.48% was off 6% while construction-materials maker Busan Industrial 011390, -15.54% slid 11%. Hong Kong stocks were little changed, with the Hang Seng Index HSI, -1.02% off 0.4%. Financial stocks slipped after the Fed’s latest rate hike, with China Construction Bank 0939, -1.13% down 1%. The Hong Kong Monetary Authority raised its base rate a quarter-point to 2.25%, matching the overnight interest rate hike by the Fed. A day after ZTE 0763, +0.40% shares sank 42% in their second day of resumed trading, they were up 3% Thursday. The Shanghai Composite SHCOMP, -0.02% was down slightly, as was Australia’s S&P/ASX 200 XJO, -0.11% as well as stocks in Singapore STI, -1.01% and Taiwan Y9999, -1.43% .